Data-driven decision-making. Data analytics. Data mining. Data sounds so logical, rational and objective. But is it? Don’t misunderstand, as an engineer, I love data! And, as a leader, I learned that data alone is not enough. Even data is subject to confirmation bias. Confirmation bias is the tendency of the brain to latch onto information that is in alignment with its expectations. Let me share an example. I gr ew up in Smithville, Texas, a small ranching town in central Texas. My dad was the school band director for all kids from the 5th through 12th grades. Consequently, my sister and I grew up with music in the house. We sat in our yellow bean bag chair and watched PBS as he pointed out oboes, violas, tympani and bassoons. Fast-forward to my college years. I was home for the summer hanging out with friends at the barbeque cookoff. We stood outside the VFW hall under the live oak trees. In a cloud of dust, my little sister, Alison, stormed over dragging her friend, Jim, along. She positioned Jim in front of me and announced that I had to resolve their bet. As I stared at Jim in his boots, jeans, belt with the big belt buckle, tee-shirt and camo ball cap, Alison asked, “What does his ball cap say?” Printed across the camo background was Bass Tournament. Without hesitation I said, “Bass (as in an upright stringed bass) Tournament.” This was, of course, the correct answer as far as she was concerned, and she cheered my answer as she apparently won the bet. Now…let’s rewind and consider the “data.” As charming as Smithville is, it is a small farming/ranching town of 3,000. There were not any string bass players. A camo ball cap isn’t what I imagine most bass players wearing. Finally, I remember stumbling over the word, “tournament.” I played in concerts and auditions but never a “tournament.” Despite all evidence to the contrary, my brain assembled the data and still came up with the type of “bass” I expected in my world. That’s confirmation bias. You do the same with data every day. Even with data analytics, your brain sees what it wants to see, and it gives more credence to data that is in alignment with its expectations. It’s not a weakness, it’s inherent in the design of your brain. Knowing this, what’s an insightful leader to do? They ask insightful questions to see beyond the data. Here are a few example questions that may prompt you to consider the insightful questions you can ask. These questions will push you past confirmation bias and aid you in recognizing your tendency to skew data to meet your expectations. • Am I seeing only the data I want to see? Your natural tendency is to notice and give more weight to data that you expect, more so than unusual data. • Is there other data that shows a different perspective? 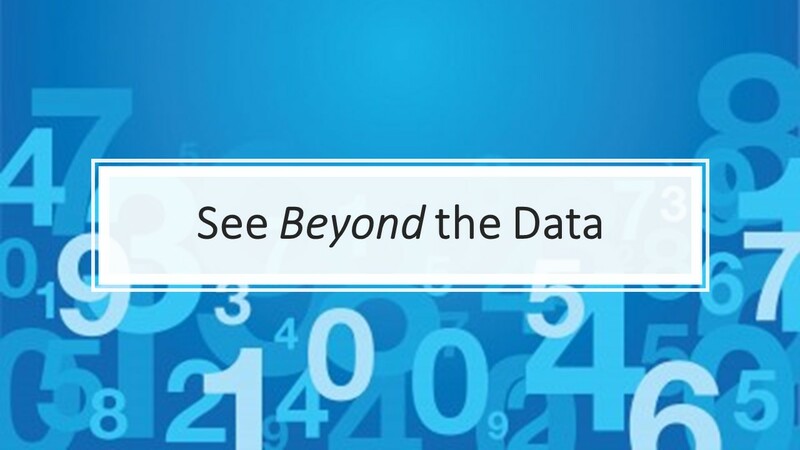 You may need a different analysis of the data, request data from a different source, or simply shift your perspective to force a new interpretation of the data. • Does backward-looking data support forward-looking questions? If your industry or organization is in a period of change, historic data is just that – historic. Will historic data support decisions for a future that is fundamentally different? • What trends are showing up at the fringe of the data? Emerging ideas and trends don’t show up in the middle of the bell curve, they happen gradually at the fringe of the data. These trends emerge as the outliers, the slow drift in data, or the feel that something is shifting. Don’t allow confirmation bias to rob you of the insight that data provides. What insightful questions can you ask that pushes you to see beyond the surface level of the data? It could make all the difference in your decision-making. It started by mistake. As I pondered the topic for this newsletter, I picked up the kaleidoscope on my desk. It sits there to remind me to always see other perspectives. By mistake, I stared through the wrong end. Have you ever looked at the back end of a kaleidoscope? There is no swirl of color or dynamic image. Instead, you only see small fragments of colored bits. The magic happens when those colored bits spin together into intricate designs. That’s when I realized that it’s the same for an insightful leader. The colored bits are like their fundamental skills that swirl together to create deeper insights just as the kaleidoscope creates amazing images. 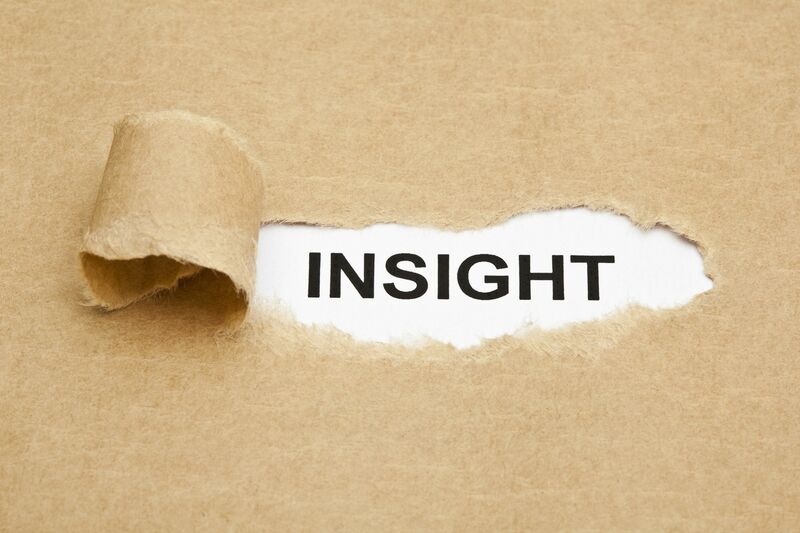 It’s those deeper insights that increase effectiveness and impact. What then are the fundamental skills of an insightful leader? At the core, insightful leaders appreciate that leadership takes more than just data – it requires objective thinking and an appreciation of feelings – theirs and others. These leaders understand that they need basic skills to manage themselves and to understand other people – whether directing, inspiring, motivating or coaching. It’s not about being agreeable. It’s about being insightful. After considering all that I learned through experience and through interviews with executives, here is a list of fundamental insightful leadership skills. Try this Insightful Leader Quiz to assess your fundamental insight skills. ⧠ You understand the need to both think and feel at work. ⧠ You know your values. ⧠ You know and manage your biases. ⧠ You know and use your natural skills effectively. ⧠ You recognize when your natural skills get in the way. ⧠ You manage your blind spots. ⧠ You appreciate the value and limitations of data. ⧠ You listen for and manage both facts and feelings with others. ⧠ You know and manage your personal brand. ⧠ You use stories and visual language to connect with an audience. ⧠ You are aware of and manage triggering events for yourself and others. ⧠ You recognize and resolve your stuck stories. ⧠ You know when to decide and when to sleep on a big decision. How did you do? Are you comfortable that you have deep skill in a third, a half or more? Perhaps this quiz struck you as overly introspective and self-focused. We’re more accustomed to thinking of leadership as vision setting, providing direction, establishing tone, managing change, influencing and motivating – all of which are outwardly focused. For sure, those are results of leadership like the beautiful, intricate images inside the kaleidoscope. But, as with the kaleidoscope, you can’t achieve good leadership without fundamental skills (like the little bits inside the kaleidoscope). It’s the fundamental skills that you swirl together to create insightful leadership. What fundamental skills do you most need to develop to be an insightful leader? Let me know and I’ll write more about these in future blogs.